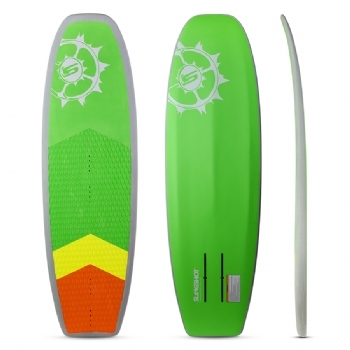 Covered in a thick EVA layer, the Simulator is a user-friendly board designed specifically for safer entry-level foil progression. 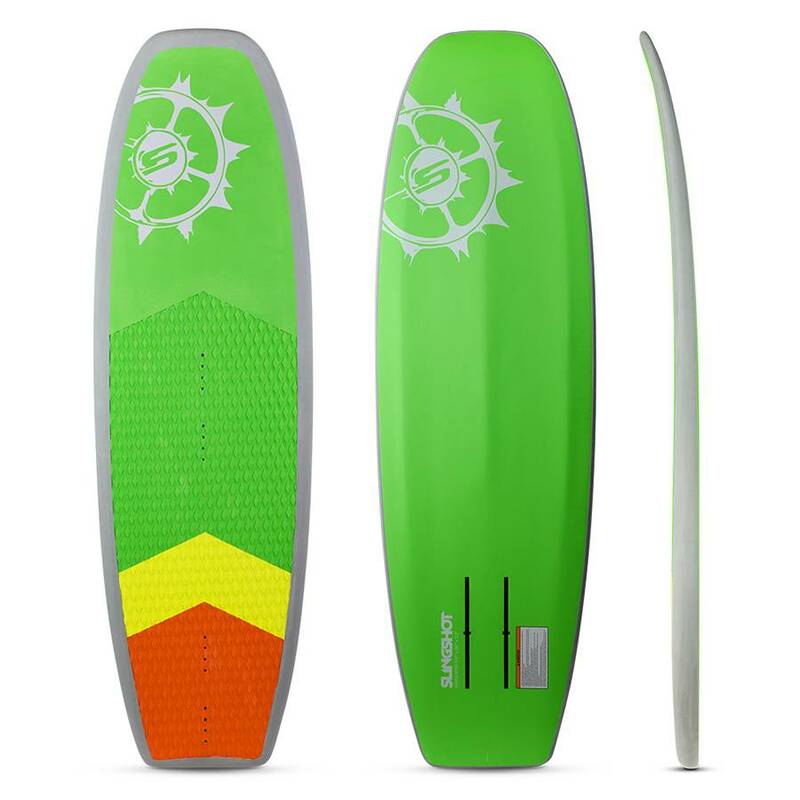 As you try foiling for the first time, and experience your first crashes, you'll quickly appreciate the forgiving feel and cushy padding that covers the top and rails of the board. You'll also appreciate the extra length and buoyancy of the Simulator; it will help you get up and going and makes the first stage of bouncing up and down on the water much more forgiving. Once you've progressed beyond the first learning stages, the Simulator remains a fun freeride board you can use to practice transitions, toeside riding, jumping and more aggressive carving. The padded top and extra volume will come in handy through every stage of your progression. It'll also come in handy when you're asked to teach friends and family. 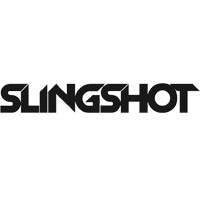 The Slingshot Ghost Whisper is the newest edition to Slingshot's rapidly expanding foil lineup. This sleek carbon foil is fine-tuned for all-conditions riding and aggressive freeride performance. 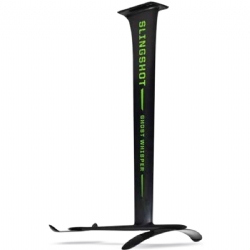 As a testament to the commitment Slingshot has to developing the most comprehensive foil lineup in kiteboarding, the Ghost Whisper features a modular design and sturdy aluminum fuselage that allows riders to change wingsets to achieve dramatically different performance characteristics.